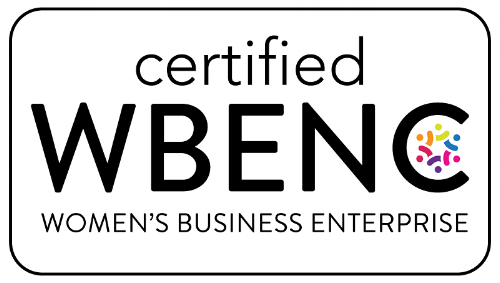 DCC Design Group, LLC is certified as a Women's Business Enterprise (WBE) through the Women’s Business Enterprise National Council (WBENC), the nation's largest third party certifier of businesses owned and operated by women in the US. [Wilmington, DE]—May/31/2018— DCC Design Group is proud to announce that it is now formally recognized as a Women’s Business Enterprise by the Women's Business Enterprise Council of PA-DE-sNJ, a regional certifying partner of the Women’s Business Enterprise National Council (WBENC). WBENC’s national standard of certification implemented by the Women's Business Enterprise Council of PA-DE-sNJ is a meticulous process including an in-depth review of the business and site inspection. The certification process is designed to confirm the business is at least 51% owned, operated and controlled by a woman or women. DCC Design Group provides interior design, planning and branding services in the greater Philadelphia area. Specializing in Healthcare Design and Corporate Office Design, our team brings many years of experience and knowledge in a vast range of project types and services. DCC Design values the impact that inspiration and client engagement can have on the transformation of any space, big or small. Founded in 1997, WBENC is the nation’s leader in women’s business development and the leading third-party certifier of businesses owned and operated by women, with more than 13,000 certified Women’s Business Enterprises, 14 national Regional Partner Organizations, and over 300 Corporate Members. More than 1,000 corporations representing America’s most prestigious brands as well as many states, cities, and other entities accept WBENC Certification. For more information, visit www.wbenc.org.